From the age of 30, less collagen is produced by the body, which can lead to the loss of skin elasticity and firmness, cartilage degeneration, joint stiffness, muscle mass reduction and lower bone mineral density and strength. 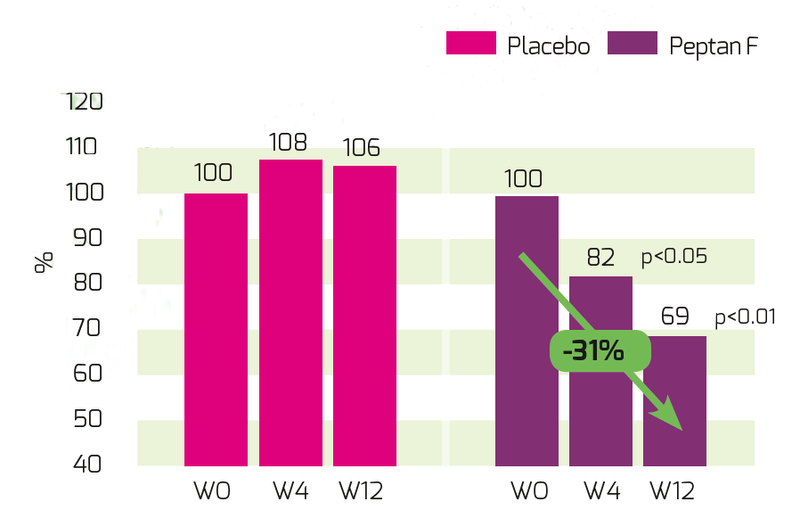 The consumption of collagen peptides has a positive effect on all these regressive processes, as the small peptides are transported from the gut via the blood to the tissue cells, where they stimulate cells to produce more collagen, and as a result help boost the level of structural collagen in the target tissues. Besides counteracting the signs of aging, collagen peptides offer unique support to the musculoskeletal system at all ages. The high levels of the conditionally essential amino acids proline, arginine and glycine, paired with the hydroxyproline contained in collagen peptides are invaluable to the body’s connective tissues. For athletes and sports enthusiasts in particular, supporting ligaments, cartilage and tendons is just as important as supporting muscles. Ailixir powder and liquid collagen products use Peptan collagen peptides. 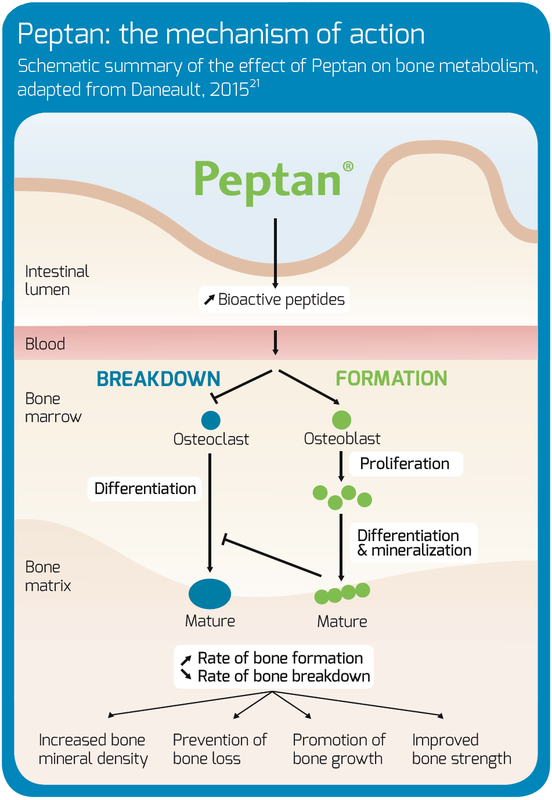 Peptan’s anti-aging benefits are well documented with visible effects demonstrated after just one month of use in several clinical studies. Collagen peptides are a hydrolyzed (highly bioavailable) form of collagen, which is the most abundant protein occurring naturally in the human body. 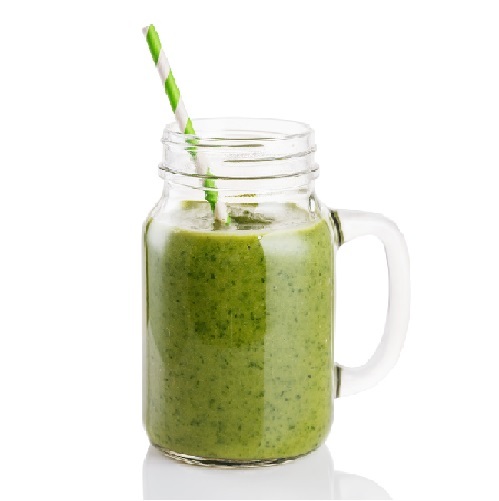 Collagen is a key structural protein that ensures the cohesion, elasticity and regeneration of all connective tissues, including skin, cartilage, tendons, ligaments, muscles and bones. Collagen Peptides for a Healthy Lifestyle. Good for all ages. Skin Beauty. Bone Health. Move Freely and Efficiently. Collagen peptides’ popularity is, to a large extent, attributable to the fact they are pure, naturally occurring proteins. Protein is well-recognized, trusted and in high demand worldwide. 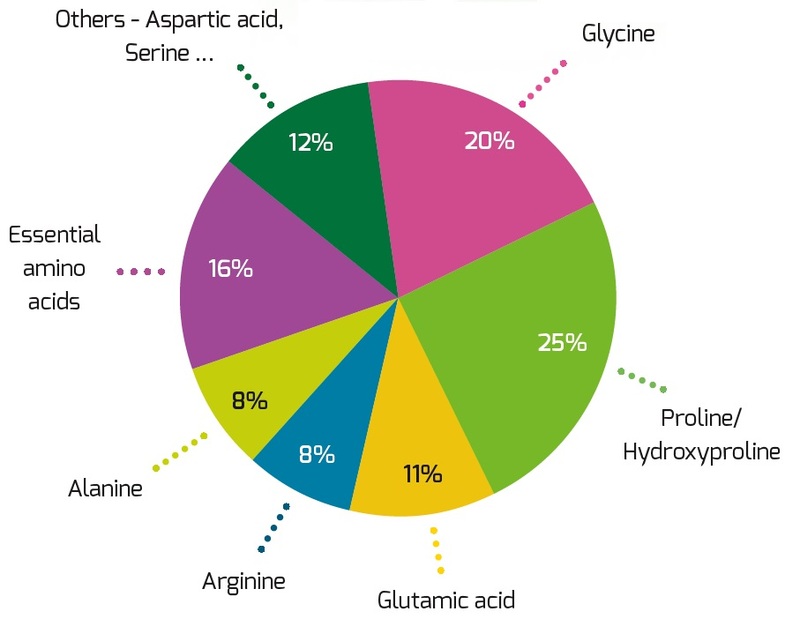 But the amino acid composition of collagen peptides sets them apart from other protein sources and enables benefits that cannot be achieved with other single-source proteins. These benefits have been widely researched worldwide. 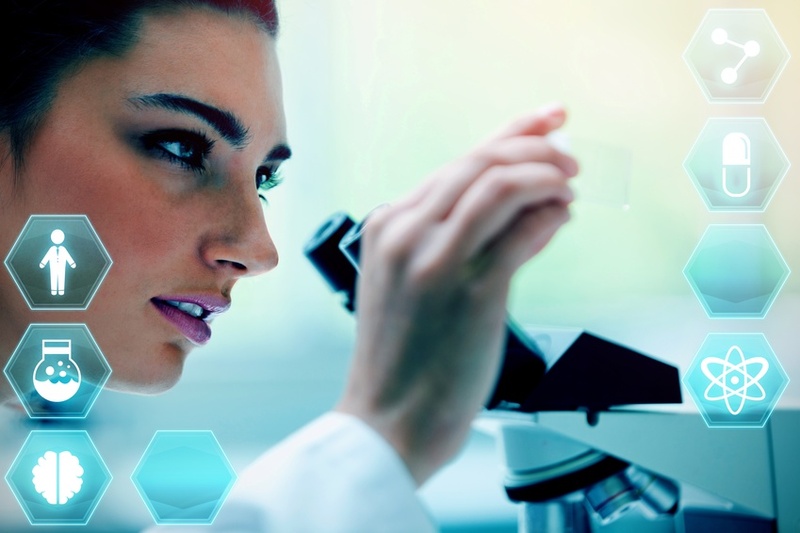 In the area of skin beauty, for example, research has shown that oral intake of collagen peptides may act to trigger the synthesis of new collagen fibers by stimulating fibroblasts which are the skin cells responsible for collagen production. With collagen accounting for 70% of dry mass skin content, improved fibroblast action can have a significant impact on the appearance of the skin. Further studies have shown that daily intake of collagen peptides reduced collagen fragmentation by 31% enhanced skin moisture levels by 28%, can help repair damage caused by UV radiation and reduce the visible signs of aging like dehydration, fine lines and wrinkles. 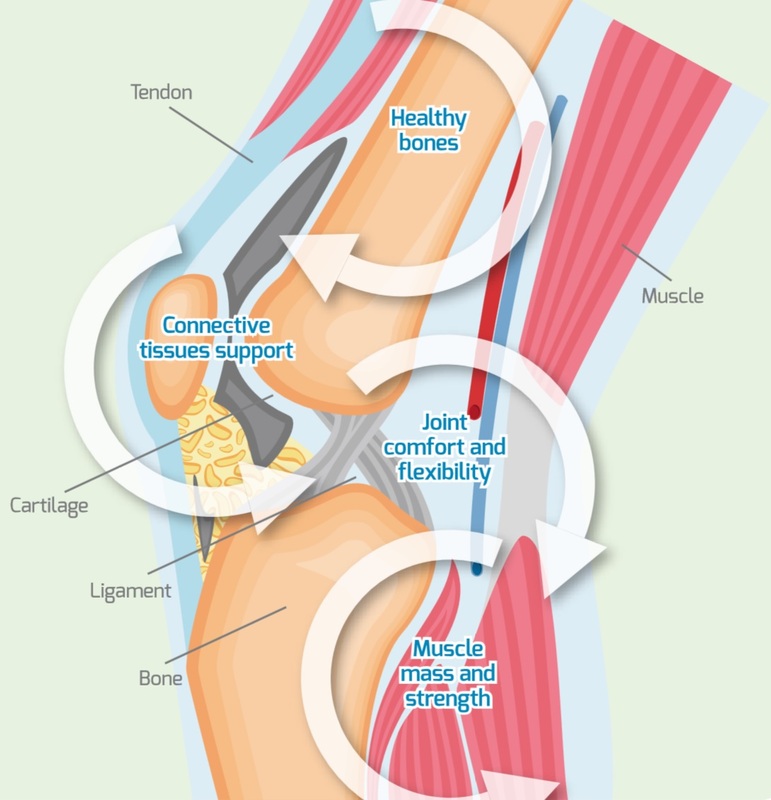 Joint health studies date back nearly 20 years, and demonstrate a range of benefits including the relief of discomfort, improvement in tendon structure and relief for joint discomfort. 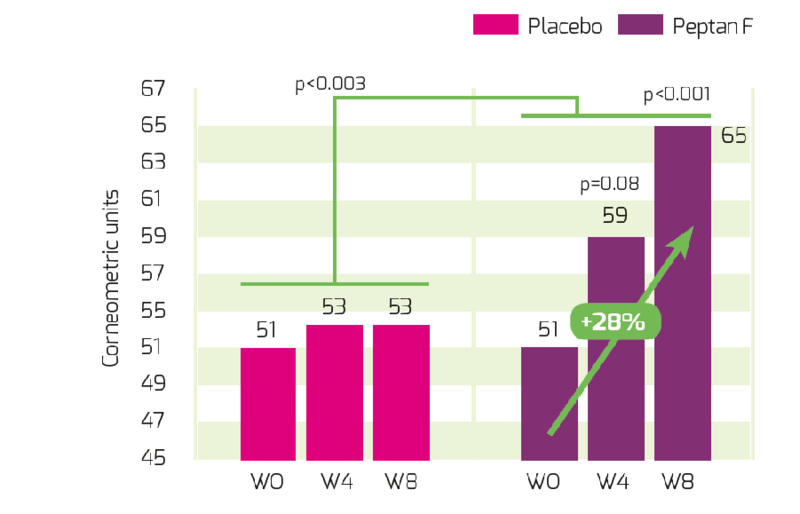 For instance, a major study into elderly women suffering from knee joint problems recorded a 32% improvement in joint pain, 44% in stiffness and 22% in function when the participants regularly consumed collagen peptides. Most recently, an in vivo study conducted at the University of Rochester, NY, concluded that the same specific collagen peptides stimulate chondrocyte cells, increase the synthesis of new cartilage matrix and reduce inflammation. 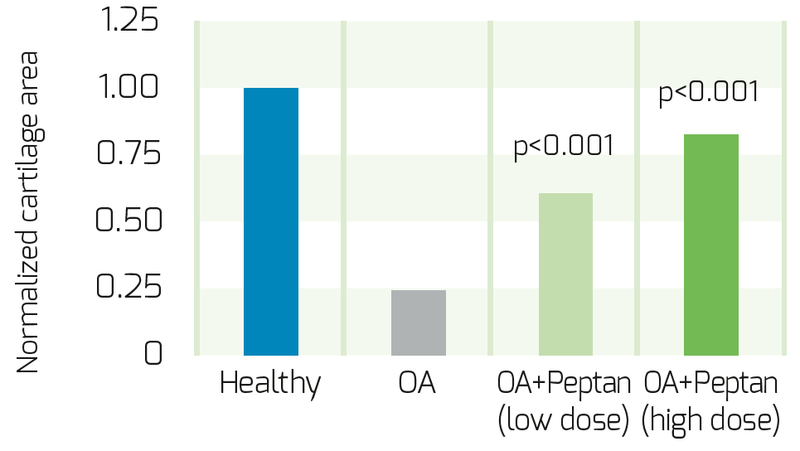 Figure: Osteoarthritis (OA) was induced by surgery in mice that received Peptan at two different dosages or a control twelve weeks after OA induction. Histology of the knee joints was performed and the area of the (tibia) cartilage was quantified. 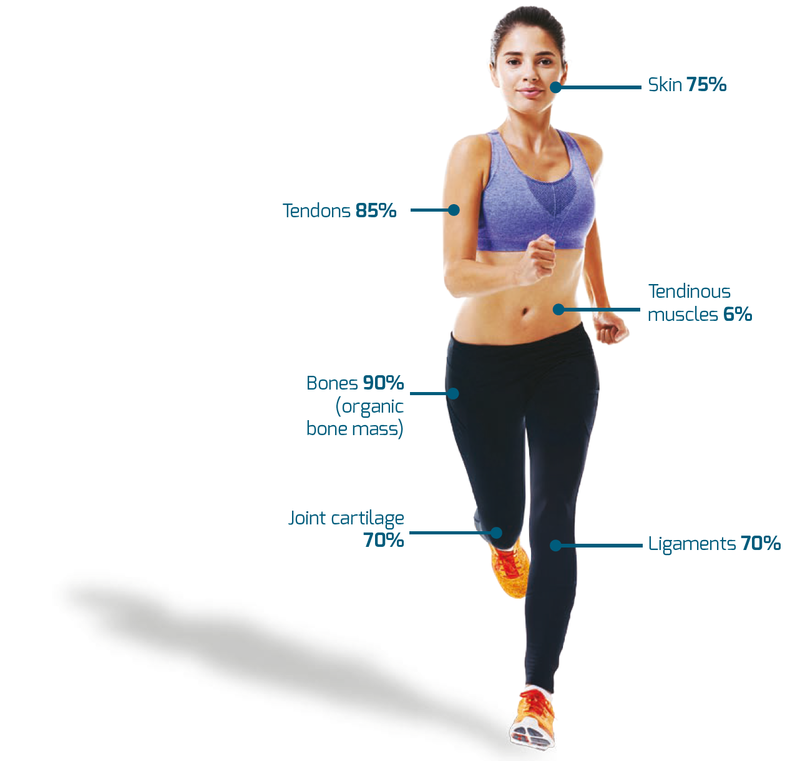 Bone health is another area where collagen peptides can provide convincing nutritional support. 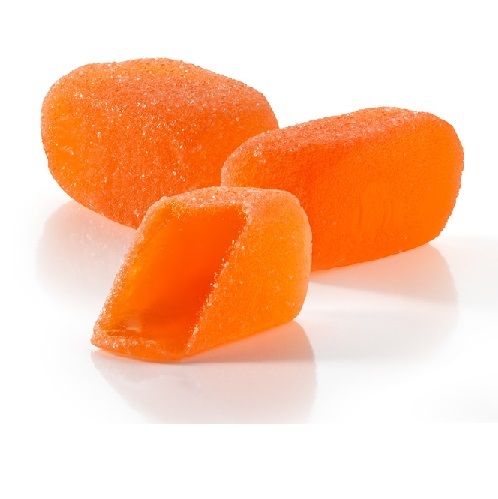 Key to musculoskeletal strength, they have been shown to boost bone mineral density, help prevent bone loss, and improve osteoblast differentiation, shifting the bone metabolism balance towards bone building. As well as having benefits in their own right supporting strong and healthy bones, collagen peptides can also boost the benefits of dietary calcium, improving its absorption, retaining high levels of calcium in bones, increasing bone mineral density and preserving bone strength, according to one recent in vivo study. 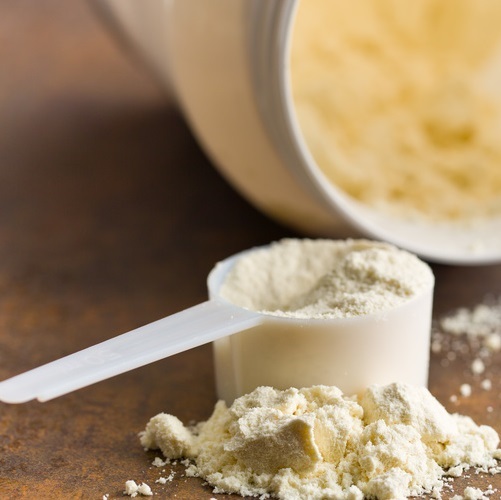 A recent study on connective tissue support in young men has further indicated that collagen can play a beneficial role in preventing injury and supporting tissue repair. 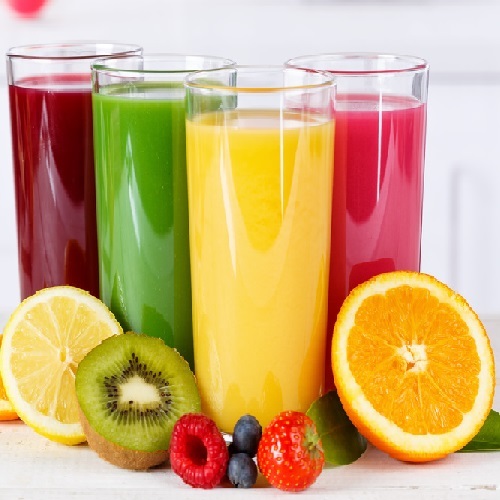 Carried out by the Australian Institute of Sports, the study shows how consuming collagen enhanced with vitamin C and followed by high intensity exercise can potentially help build ligaments, tendons and bones, confirming collagen’s great potential in the sports nutrition market. Very pure proteins have additional benefits in the areas of sports and senior nutrition, two further sectors booming in markets worldwide. For example, one study found that it improved the skeletomuscular response to resistance exercise training, while improvements in body composition and nitrogen balance were found in older women during a 2009 study. Nitrogen balance is essential to build muscle and maintain physical wellbeing. Research continues in both these areas.